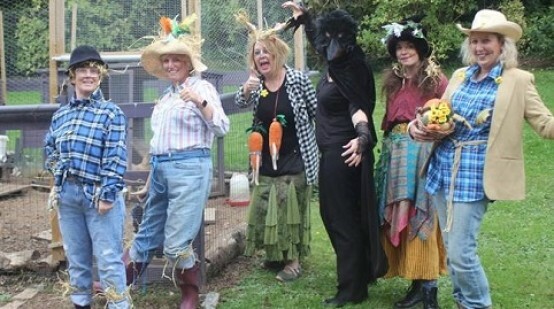 This year we decided to celebrate harvest festival by having a Scarecrow Ball…. Everyone made a great effort as you can see from the fab photos. We had entertainment from Claire (Musica) who provided us with a workshop which was fun filled and kept us all moving and singing throughout the afternoon. All the residents also enjoyed the mini cheeses & drinks throughout the afternoon.